Many women find that as they age, their face becomes the most likely area to show signs of the aging process often as a result of lifestyle choices or genetics and creams and topical treatments aren’t enough to prevent further aging or reverse the damage and they may find themselves considering a facelift. A surgical facelift is also known as a rhytidectomy and demand for the procedure has increased dramatically over recent years. There are four main types of face lift though individual and experienced surgeons may be able to offer something that is unique to your needs. The most common lifts include a full facelift in which the skin of most of the face and neck is tightened pulled up and secured aiming to reduce wrinkles and lines leaving the skin tighter and younger looking; a brow lift which involves only the forehead area being lifted, though this does also often have some effect on your eye area; a lower face lift involving only the lower part of your face and a neck lift. It is reasonable for the surgical team to request you stop smoking or perhaps lose some weight if you are over weight prior to surgery. It is normal to expect to stay in hospital at least one night after surgery. The procedure is commonly performed under general anaesthetic and you will berequired to remain nil by mouth for at least six hours before the operation. Many surgeons like to take photos of your face before surgery so they can assess thetechnique used and the results following the healing process. It may be necessary to draw some markings on your face and neck as your facial tissueswill hold a different position on the operating table than they do when you are stood up. The operation will take between one and a half and four hours depending on the type of facelift your are having and the technique used.Full facelifts require a lot of dissection and placement of the skin whilst other method that may use key-hole technique are a lot less invasive. The skin and under layer of fat are dissected away from the muscles and repositioned with then excess skin and fat being removed. The remaining tissue is held in place using a variety of suturing techniques.It is likely than you will have some scarring though the incision are commonly made in the less obvious places such as around the ears or in the hair line. Bandages or dressings will be applied and compression will be applied to reduce bruising.It is also common to have some wound drains inserted that aim to remove excess fluids and blood and also show signs of internal bleeding though this is rare. These tubes are normally removed between 24 and 48 hours if there are no complications. You will feel some discomfort and pain after the operation and pain relief will be prescribed.Your facial area will feel tender and tight for some weeks after the procedure but this is normal . A typical face lift will last for between seven and ten years providing you take care of your skin and look after your wounds following surgery. Smoking can affect wound healing and may contribute to the aging of the skin again and is not advised. 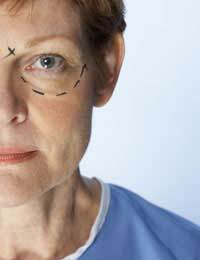 Facelift procedures are still very common and highly sought after. They remain a cosmetic procedure and will be carried out in private clinics and hospitals. Research continues to refine the use of non-surgical techniques which are considered to be less invasive, reduce surgical risks and provide a similar result.